NEW YORK — Uber Technologies Inc. expects it will be a long time before one of its biggest investments, self-driving cars, is ready for wide-scale deployment, a senior scientist said on Monday, as the ride-sharing firm gears up to go public. 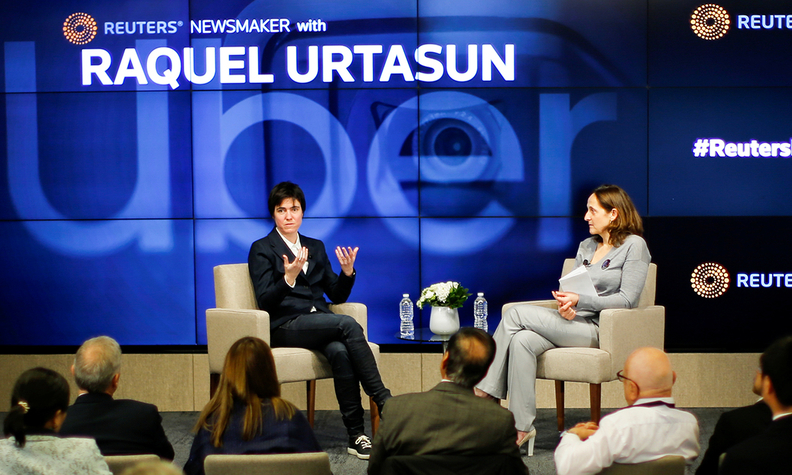 Raquel Urtasun, who is chief scientist at Uber Advanced Technologies Group and heads the group's unit in Toronto, spoke about the challenges for self-driving development at a Reuters Newsmaker event in New York. The more cautious tone marks a change from three years ago, when Uber embraced aggressive tactics to turbocharge its autonomous vehicle development in a bid to get more robot taxis on the street driving more miles. The company had been seen as an industry leader in the technology until one of its autonomous vehicles killed a pedestrian in Tempe, Ariz., in March last year. The progress of Uber's self-driving car unit is in the spotlight as the company prepares to kick off its initial public offering this year. Uber, whose losses before taxes, depreciation and other expenses were $1.8 billion (all figures USD) last year, has at times spent close to $200 million in a single quarter on its self-driving unit, sources told Reuters. Uber has recently taken a more collaborative approach, inviting General Motor' self-driving car unit, Cruise, and Waymo to put their cars on Uber's ride-hailing network. Urtasun said on Monday that Uber encouraged every self-driving company to add their cars to the Uber network.